HumanLifeMatters: WHO WAS THE REAL MARGARET SANGER? the first birth control clinic in New York City. That first clinic was the birthplace of what we know today as the abortion giant Planned Parenthood. Most people recognize Planned Parenthood as the largest abortion provider in the United States, but few people realize that PPFA started with just birth control. You see, when we think we can control when and where we have children, it leads us to believe that children are either wanted or unwanted. When a society believes that a person’s value depends on whether or not he is wanted, the only recourse is abortion. Thanks to the work of one woman—Margaret Sanger—America changed its mindset about contraception. In the late 1800s, contraception was illegal. It was even illegal to distribute information about contraceptives in the United States, let alone perform abortions. Sanger set out to change that law. Inspired by the false “science” of eugenics, Margaret Sanger believed that birth control was the only way to “cleanse the public gene pool” and to eliminate the poor and those whom she deemed “unfit” from society—an ideology much like that of the Nazis. In the space of 100 years, the United States not only permitted anyone to use contraceptives, it also decriminalized abortion through all nine months of pregnancy. 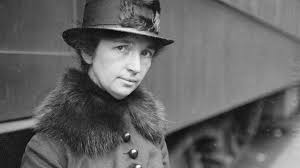 Feminists of today see Sanger as a hero because of her campaign for birth control and her organization’s later campaign for abortion in America. Our young people deserve to know the truth about how Sanger’s ideas continue to damage our families and society as a whole. In order to make this important unit study available in time for the fall semester, American Life League has started a Kickstarter fundraising campaign to raise the funds necessary to complete the study, as well as donate copies of Who Was the Real Margaret Sanger? to schools in need. You can help bring this important effort to schools by giving to the campaign and sharing the project on social media. In exchange for backing the project, you can receive rewards such as a copy of Who Was the Real Margaret Sanger? and other unit studies from the Culture of Life Studies Program. Click below to learn more about this important project! 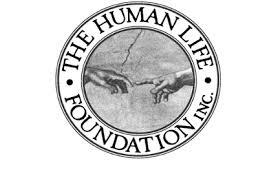 American Life League’s Culture of Life Studies Program stresses the culture of life as an integral part of every academic discipline. CLSP is dedicated to helping students become effective communicators of the pro-life message.